NYC is always a favorite of mine. I don’t know what it was about this show, but the caliber of people this year was higher/more professional than the last five. Saw some old friends and made a bunch of new ones. Oh, if you have any pictures of me teaching, I'd sure love them! Getting the most out of Adobe’s Color tools. And of course, yes, you’re welcome to email me if you have questions about this or anything else! I saw a bunch of old friends and made a bunch of new ones. It doesn't get better than that. I'll post some more later, but wanted to get my sessions posted ASAP. Yes, feel free to reach out to say hi, ask questions. Please remember the next 2-3 weeks, it's key to review everything! Looking for the NAB notes? I'm going to post notes quickly so they're available...and then later with some additional blog entries, post NAB. Had an absolute blast teaching in DC. It's always loads of fun. The show floor is usually about an hour or two of walking and talking, the educational sessions have the most value. Here are there three sessions I taught. And yes, if you have a question about these sessions or something else, you're supposed to reach out and email me! Ok, it's not my spot. There's a Jeff Greenberg who is a casting director. Meanwhile, the last session I did at Adobe Max was on Color Correction. For those of you who took the class - keep in mind the formula to work with 3 way CC...and the reverse for Curves. And that Adobe SpeedGrade has the same generalized toolset - just laid out differently. Compression is absolutely one of my favorite things to teach. Teaching it with minimal references to numbers is important - or most of use can feel overwhelmed. And hopefully sometime in the next month forthecompressionist.com has some great material for video professionals. Great group of people - great questions. Shooting interviews can often be painful - here are the updated notes! Next Video Conference - Pasadena, California! Tuesday I did a session on Avid Media Composer tips and Adobe Premiere Pro tips. For those of you who attended - thanks for coming! As I said at the event - NOW is the best time to review your notes. Don't wait until next week. 5-10 minutes per session. Totally worth it. On a series note, I apologize if I was a little withdrawn - my father passed about 2 weeks ago and it was dicey if I was going to even be able to attend the event at all. As always, please be in touch. find me on your favorite social network and feel free to ask questions/drop a line etc. 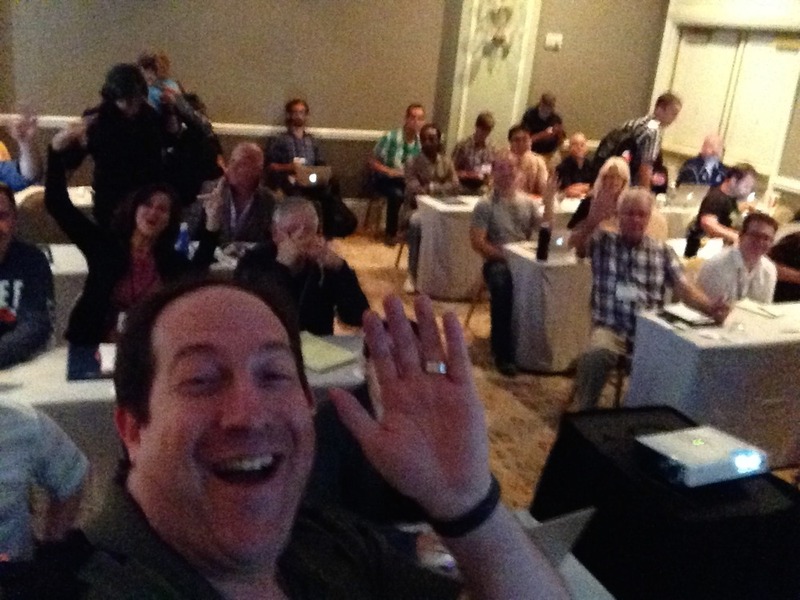 Fun class, great questions - last one of the conference. Someone asked, how do I 'see' and put this sort of information together. Here's a rare PNG of my mindmap for this talk. My Mindmap for this talk - just to get the ideas out of my head. At the last moment, I decided to jump in and help Liron Golan's Talk about Troubleshooting. As always, feel free to drop a line if you have a question open still from the event. This session covered some interface adjustments (lose the buttons already! ), including how to really handle and configure the timeline, covered three point editorial, and delved into trimming. 20 Adobe Premiere Pro tips in under 20 minutes. I've mentioned this enough - here it is. 20 tips, 20 minutes, no extra junk.